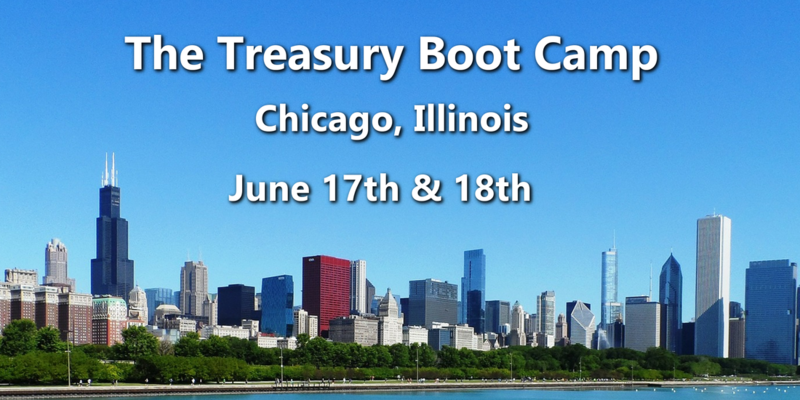 ​TreaSolution is proud to offer the treasury management industry's premier treasury training event: The Treasury Boot Camp. The Treasury Boot Camp is a two day course that is an intense study of the latest treasury management best practices and developments. Attendees of the Treasury Boot Camp will be able to learn about advance treasury topics in a small group environment. We're so confident you'll love the Treasury Boot Camp, we're happy to offer a 100% satisfaction guarantee! Visit www.TreasuryBootCamp.com for more detailed information.